Predicted by The Simpsons back in 1998! On the midnight of March 20 (via The Hollywood Reporter), The Walt Disney Company completed its long-awaited acquisition of 21st Century Fox‘s entertainment assets. This purchase, first proposed in December 2017, ultimately cost Disney a grand total of $71.3 billion. As part of this purchase, Disney received the entire 20th Century Fox film and television library, as well as Fox 2000 Pictures, Fox Searchlight Pictures, Blue Sky Studios, FX Networks, National Geographic Channel, and Star India. The deal also included Fox’s original 30% stake of the streaming service Hulu, increasing Disney’s ownership to 60%. Comcast and AT&T’s WarnerMedia still own 30% and 10% of Hulu respectively. 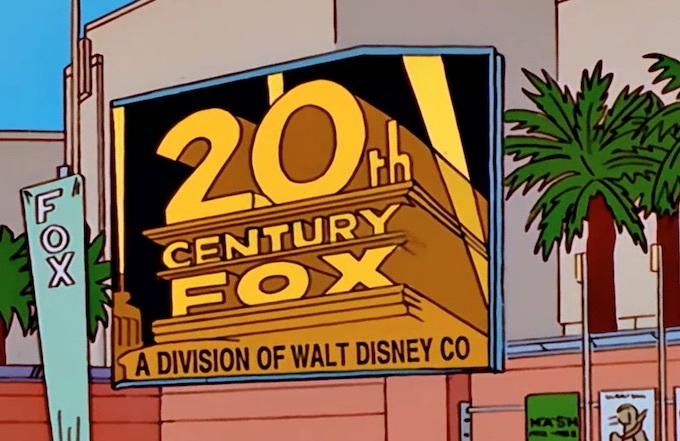 This, however, does not mean that Disney owns the entirety of Fox in general. Fox co-chairman Rupert Murdoch and his CEO son Lachlan have slimmed down their remaining assets into the newly-formed Fox Corporation, which includes their news and sports assets, and Fox Broadcasting Company. “The new Fox will begin as the only media company solely focused on the domestic market; focused on what Americans love best — sports, news and entertainment, built and delivered for a U.S. audience,” Rupert Murdoch stated the previous year. With Fox’s entertainment assets in their hands, Disney’s library is now stronger than ever before. Now they have full ownership of treasured franchises such as Avatar, Die Hard, X-Men (including Deadpool), Planet of the Apes, Alien/Predator, Home Alone, Modern Family, the full rights to Star Wars: A New Hope, and more. 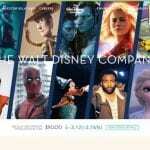 Animation-wise, Disney will be a new home for sitcoms like The Simpsons, Futurama, Family Guy (and it’s spinoff The Cleveland Show), American Dad, Bob’s Burgers, and King of the Hill, as well as animated features like Wizards, Fire and Ice, FernGully: The Last Rainforest (and it’s direct-to-video sequel), The Pagemaster, Anastasia, Bartok the Magnificent, Titan A.E., Digimon: The Movie, Waking Life, Fantastic Mr. Fox, The Book of Life, and Isle of Dogs. Blue Sky Studios and their output are also included in the package, with the Ice Age and Rio films, Robots, Horton Hears a Who!, Epic, The Peanuts Movie, and Ferdinand. 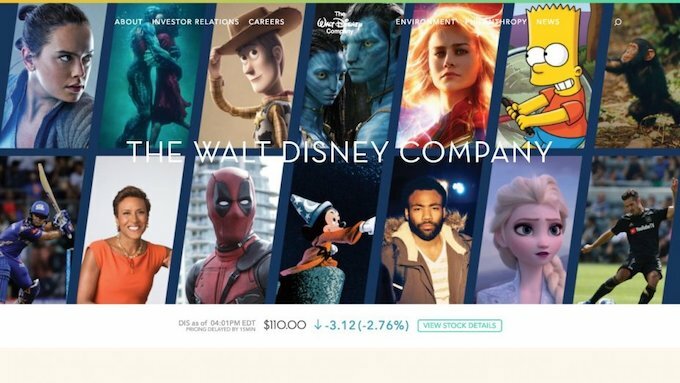 Disney and Fox collide on The Walt Disney Company’s website. The company’s upcoming streaming service Disney+ (and their increased Hulu stake) serves as their response to catch up and battle the likes of Netflix and Amazon. Disney’s newly-acquired Fox assets will help give them a strong start in the streaming race. While comic fans will indeed celebrate the X-Men and Fantastic Four returning home to Marvel and await their debut in the MCU, the reduction from six major film studios to five does come with consequences. Along with the estimated 4,000-10,000 layoffs of Fox employees, Disney’s near-monopolistic dominance in cinema will likely put further pressure on consumers, theatre chains, and smaller film studios like Sony, Paramount, and Lionsgate. An even bigger concern for the animation community is regarding Blue Sky Studios, which Disney has been very vague about. It remains a mystery what Disney will do with the Connecticut-based animation studio, especially since it now has to co-exist with Disney Animation, Pixar, and Lucasfilm Animation. The fate of Blue Sky and their upcoming animated movies like Spies in Disguise, Nimona, and Foster will be in the air for now until Disney makes an announcement. 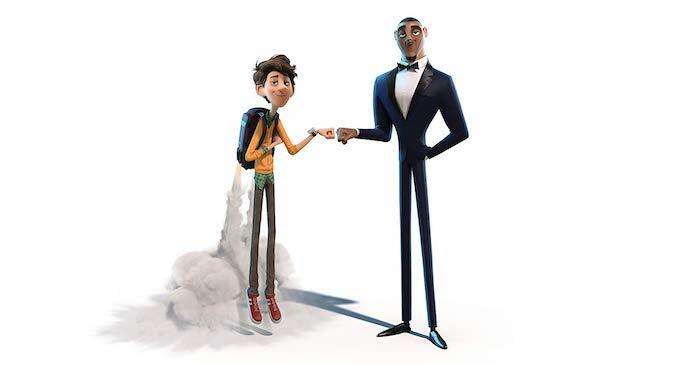 Spies in Disguise will be the first animated Fox movie released by Disney. 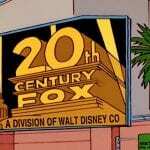 As for non-Blue Sky animated productions, Fox originally had a Bob’s Burgers film and Ron’s Gone Wrong (their first collaboration with London-based Locksmith Animation) both scheduled theatrically for 2020. Like with all upcoming Fox films, it’s currently unknown if they will be releasing in cinemas as planned, sent directly to either Disney+ or Hulu, sold to another distributor, or cancelled altogether. Roxann Dawson’s Breakthrough, releasing on April 17, 2019, is set to hold the distinction as the first Fox movie to be released by Disney. Blue Sky’s Spies in Disguise will be Fox’s first animated feature released under the new ownership, which is still scheduled for September 13, 2019. Comment us your thoughts of Fox being owned by Mickey Mouse. Are you excited about the X-Men joining the MCU? Are you worried about the fate of Blue Sky Studios?